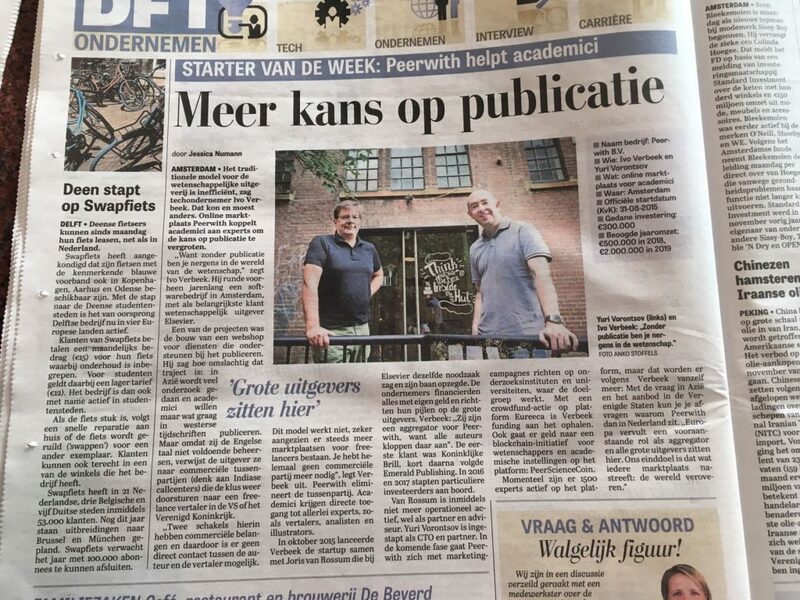 Interview with Co-founder and Director Ivo Verbeek, published in Telegraaf / DFT, Dutch national newspaper, on 21st August 2018. In Dutch. Photo with Ivo and Yuri Vorontsov, partner and CTO.